Free Wi-Fi and breakfast an outdoor pool and freeway convenience equal a winning experience at the non-smoking Holiday Inn Express Hotel & Suites Fresno Northwest-Herndon. 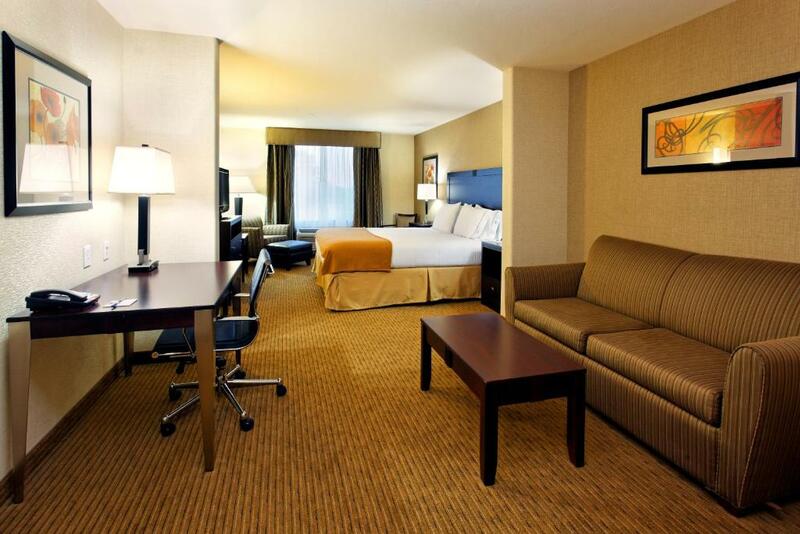 The four-story Holiday Inn Express Hotel and Suites offers 88 non-smoking rooms that provide plenty of comfort. 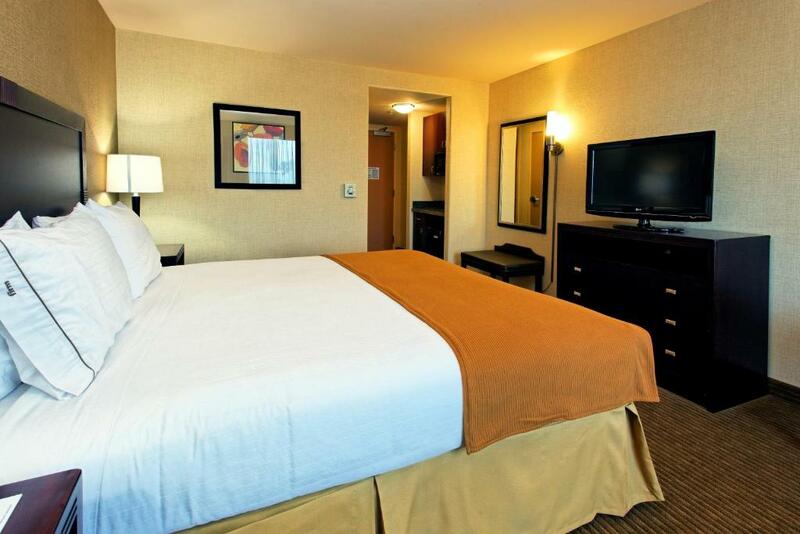 Room are equipped with free Wi-Fi flat-panel cable TV a microwave and a coffeemaker. Interiors feature clean lines of black hardwood furniture accented with burnt yellow throws and carpets. Guests enjoy a free hot breakfast each morning. 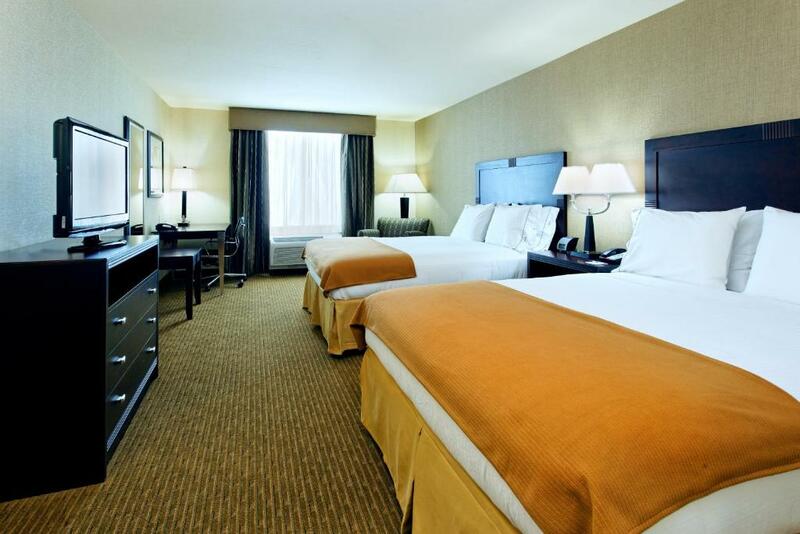 The hotel offers a business center car rental desk seasonal outdoor pool and free parking. Just off Highway 99 in Fresno's northwest suburbs this Holiday Inn Express is three miles from the stunning Forestiere Underground Gardens and Island Waterpark and nine miles from the Chaffee Zoo. Yosemite National Park is 62 miles away. The hotel is 10 miles from Fresno Yosemite International Airport. 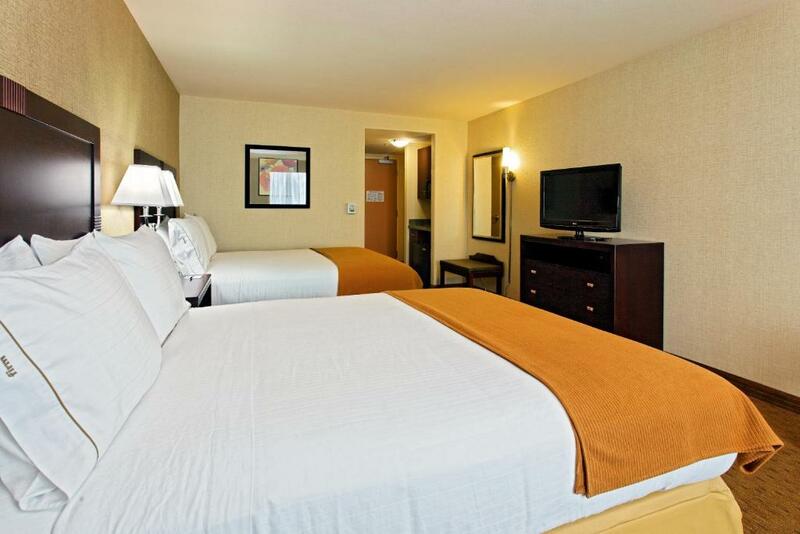 our guests say this "great hotel" offers a "good price" and that the "complimentary breakfast was above expectations."